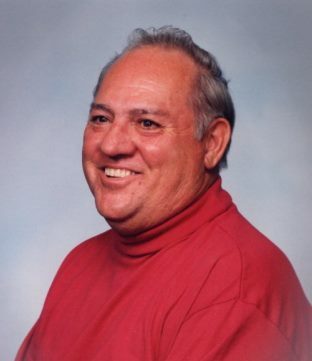 Mr. Mark Harold Wells, Sr. of Macclesfield passed away on February 3, 2019 at Prodigy Transitional Rehab in Tarboro. Mark farmed during his young adulthood. He retired from the Dept. of Transportation Traffic Services after 27 years. The family will receive friends and relatives on Tuesday, February 5th, from 6:00-8:00pm at Carlisle Funeral Home. Graveside service will be held on Wednesday, February 6th at 1:00pm in the Wells Family Cemetery, Macclesfield. He was preceded in death by his father, Mark Haywood Wells Sr., mother, Minnie N Wells; and a brother Lewis N. Wells. He is survived by his wife of 57 years, Barbara P Wells; his children, Mark H. Wells Jr. and wife Lorie V. Wells, Michael L. Wells and wife Cindy Wells, Carol W. Penwell husband David Atkinson; grandsons, Mark H. Wells III, Matthew Penwell, Timothy Penwell, and fiancee' Mckinley Turner; granddaughters, Taylor Wells, and Melaine Wells. He is also survived by sister, Jackie Wells Manning; and numerous nieces and nephews.